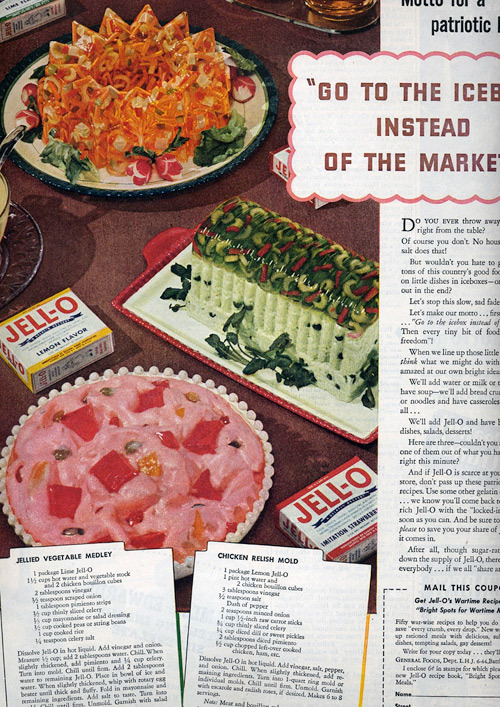 Given my slight obsession with disgusting gelatin molds, I couldn’t let this one pass me by. Not one, not two, but three lovely molds for you to ponder. What’s your favorite?